I’m dreaming of a Gandalf the White Christmas. Posted on November 19, 2012 by A.J. Yes! 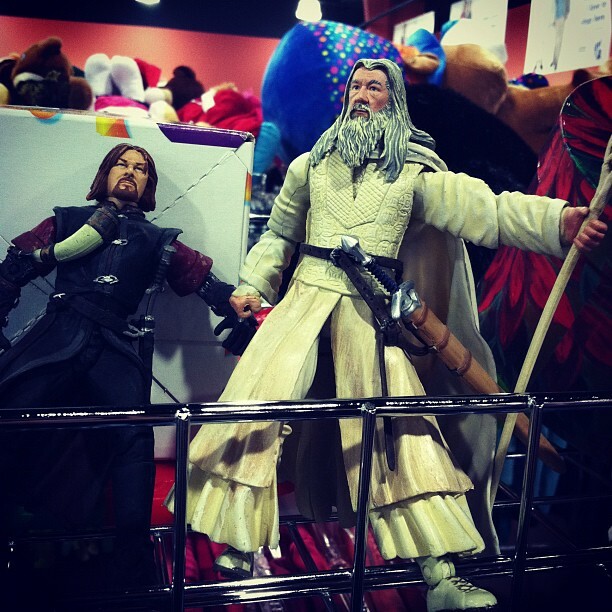 Gandalf and Boromir. 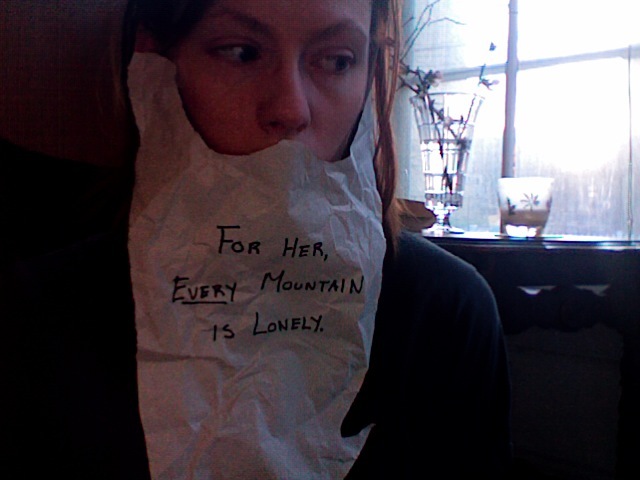 But not just Gandalf and Boromir. There were two Boromirs, two Aragorns, a Legolas and a facially deformed fellow that I can only guess, thanks to the process of elimination, is Faramir. There were also a knee-high Aragorn and a knee-high Legolas, complete with fake flaming torch and fake bow. So the way I see it, my husband should have been impressed by my restraint when I picked up only Gandalf. Me: Oh my god. We need this. This is our new Christmas tree topper. Husband: If you get that, it’s coming out of your own money. Me: It’s $4. We need a tree topper. It’s an investment. Husband: (sighs) He’s too heavy for the tree. Me: (shaking Gandalf) YOU SHALL NOT PASS. Husband: I’m going to go look at the jeans. He’s PERFECT for the tree, really. He’s like the British version of Santa Claus, only with a sword instead of presents. My husband is not getting into the spirit of this. He didn’t support my suggestion that Aragorn should come home with us, too, which would have only made sense. And the first thing he said when Gandalf came out of the bag at home was “Time for Gandalf to go into the dishwasher.” Which is just rude. But seriously, Gandalf is a great find. We lost a ton of our ornaments in the flood a few weeks ago, including our tree topper, so we do need a new one. 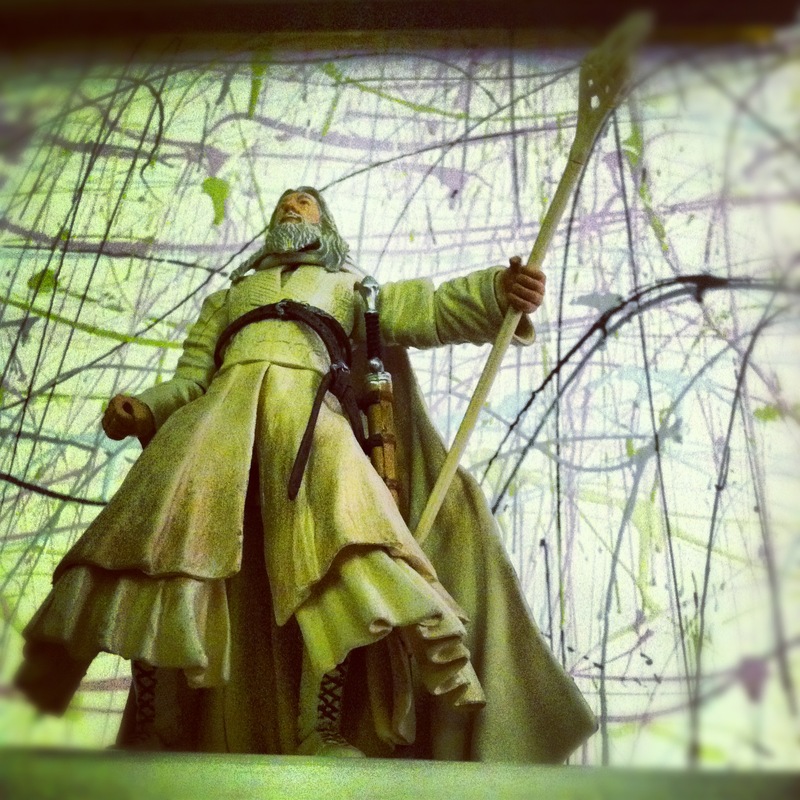 And since The Hobbit is coming out next month, Gandalf is totally appropriate. And if other nerds have the TARDIS on their trees, I see nothing wrong with putting Gandalf on ours. My husband would not be talking like that if Aragorn were here.